Learn about the 2 major components of the cannabis plant and their medical benefits. The cannabis plant is made up of hundreds of chemical components called cannabinoids. 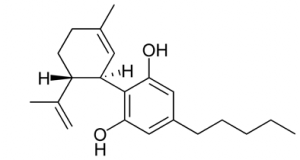 The two most commonly known cannabinoids are tetrahydrocannabinol, or THC, and cannabidiol, or CBD. Recently, CBD has become increasingly popular as more information about the many medicinal benefits of CBD becomes available. At Bask, many of our patients have questions about the difference between THC and CBD and what medical benefits have been reported by patients for both of these cannabinoids. 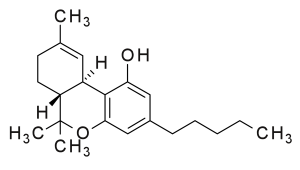 Tetrahydrocannabinol, or THC, is the cannabinoid known by most people who are familiar with cannabis. THC is known for creating the psychoactive effect that is felt upon consumption of cannabis; however, there are many health benefits of THC as well. THC has been found to help patients dealing with depression, stress and anxiety as it stimulates dopamine production and creates a feeling of euphoria. It has also been found to help reduce tumors in cancer patients and help with symptoms of chronic pain. For patients trying cannabis for the first time, we recommend trying products with lower THC to avoid any unwanted side effects like anxiety or paranoia that can sometimes happen with high doses of THC. Cannabidiol, or CBD, is becoming much more mainstream as companies, like Coca-Cola, are discussing plans to incorporate CBD in their products. Consumers can find CBD oils, infused coffee beans, lotions and salves, beverages with CBD and more; however, many people still don’t know what CBD is or what health benefits it offers. CBD is a cannabinoid found in both cannabis and hemp and is non-psychoactive, meaning it does not create the “stoned” effect like THC. This makes CBD a safe and effective option for patients looking for relief without the mind-altering effects of THC. Research about CBD is limited; however, studies have found there are many health benefits of CBD. In 2018, the FDA approved the first cannabis-derived CBD oil to be prescribed for seizures. At Bask, we have a variety of products with CBD and THC including tinctures, capsules, and lozenges. Click here to view our full menu! especially if you are currently taking prescription medications.